When F&F (Tesco) got in touch asking if I'd like to take part in their "How you wear it" blogger challenge I jumped at the chance. The brief was shorts or midi skirts with a print. I skipped off to the website to choose my item but suddenly realised that what was on offer was not for this 40 year mum of 2. No-one needs to see me in hot pants and the midi skirt does nothing for me. 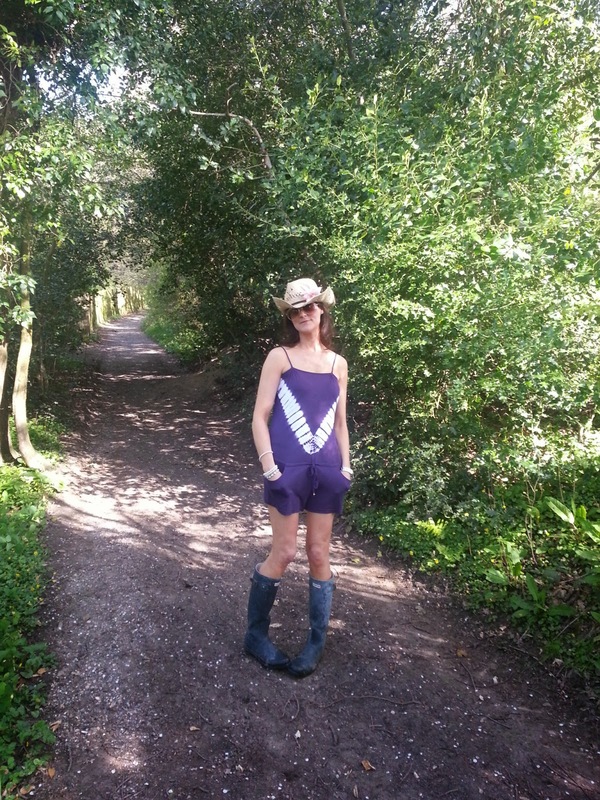 So I asked to bend the rules slightly and opt for a playsuit instead. These are PERFECT for the summer. 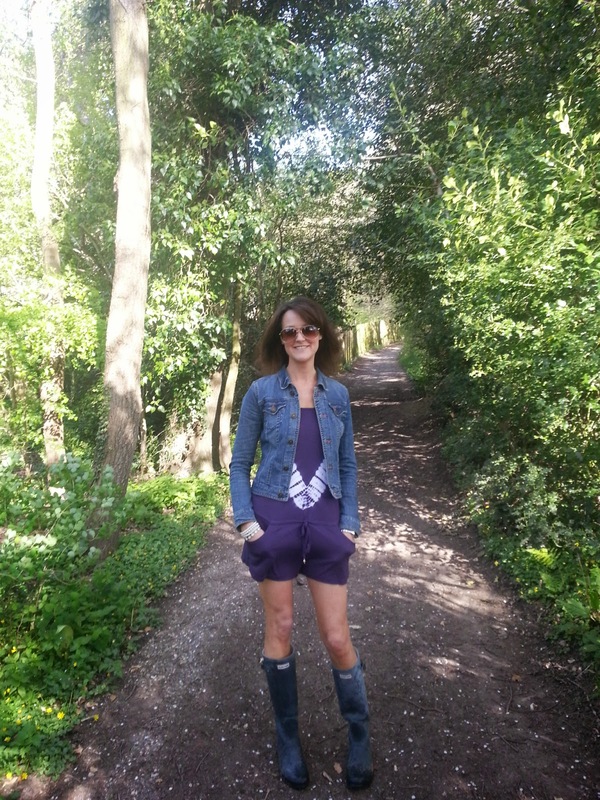 If you are a busy mum like I am and you're forever on the go then I like the comfort of a playsuit (think bending over in short skirt - this problem is vanished when you're wearing a playsuit). Head on over to the F&F How You Wear It page online to see how others wear the F&F brand. Could you rock a playsuit? I'd love to go! Was a nit chilly this morning so denim jacket for warmth but I loved the look. Are you allowed to say you love your own look?! I am marvelling at how long your legs are Fiona. You were definitely first in the queue for legs weren't you? But seriously - the playsuit really suits you actually - styled perfectly! I am so pleased with it - I was dubious but I think it works! Can't wait for REALLY warm weather now! Love how you've styled it Fiona you look amazing & how gorgeous would this look for festival season! I wish I had a festival to go to! Loud music and in the back garden is all I'll manage! I was so scared I have to tell you! What a lovely thing to say, thank you!!! Wow, you look completely fab! Love love, love that on you. 40 year old mother of 2??? Not in that pic!! You look amazing! Very different look but you have the figure for it! The playsuit hides a lot! You are officially my new BFF - thank you!!! Thank you Donna! Glad I pulled off the look! I bet you have fab legs! That look so so so cute on you! Is Kate Moss's collection for Topshop any good? What I've Been Wearing ..
Avenue 57 2013. Powered by Blogger.